Hardware is one of the most important components of a digital signage strategy. It’s essential for delivering your content to your intended audience in an engaging manner, so you achieve the results you want. However, those results will still escape you if you don’t pick the right digital signage hardware for your company’s unique goals. While countless vendors can help you make the right decision, some understanding of what digital signage hardware is and what your options are will make the process even easier. The first step to leveraging the full potential of digital signage is developing an understanding of what it is, how it works, and all that it has to offer. Hardware is one component that is explained below. 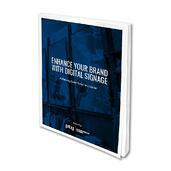 You’ll also find four different resources that cover the most important aspects of digital signage here. Before we dive into the specifics of choosing digital signage hardware, we need to distinguish between commercial options and the consumer variety. That is, consumer electronics retailers sell technology that is similar to the kind you need in order to implement digital signage at your location.For example, you could purchase a consumer television to use as a display in your retail store. The problem is that, though they look similar, consumer TVs and commercial displays aren’t the same thing. Case in point, compare the actual design of the two. Consumer televisions feature chassis designed for aesthetic purposes, whereas commercial displays are made with clean, symmetrical lines. Often, they don’t even include a manufacturer’s logo on them. Commercial displays also tend to be more durable, which is important in a high-traffic environment. Even the brightness levels are different. Consumer televisions are meant for home environments. Thus, their brightness levels typically don’t exceed 350 cd/m2. Commercial displays are meant for deployment in locations with high ambient light levels, so their brightness can exceed 2,5000 cd/m2. This comparison is indicative of other “commercial vs. consumer” examples. Consumer touchscreens, mounting equipment, and other forms of hardware exist. However, as they’re not designed specifically for commercial locations, their potential is lacking. Prior to actually purchasing any digital signage hardware, you must consider your location’s unique needs. Fortunately, the following four questions will help you get a better sense for what your location requires. At the very least, having answers to these questions will make it much easier to work with a qualified vendor on creating the digital signage environment you want. First, come up with a budget. While you may need to adjust it a bit once you consider all of your options for hardware, it’s still best, to begin with, a budget in mind. This will help set parameters when answering the next three questions. Of course, you may wish to scale-up your digital signage strategy over time, but with a budget in mind, you’ll begin its implementation with the highest-priority items. 2. WHAT CONTENT DO YOU WANT TO DISPLAY? Obviously, if you want to display interactive content at a location, you’ll need something very different than a company that wants to simply play a video on repeat. However, you also need to think about what kinds of file types will deliver the kind of content you want. Depending on your answer, you may need a specific type of media player. Then there’s the layout for your location. Single-zone and multi-zone environments have different digital signage hardware requirements. Similarly, if your strategy calls for a standalone display, you’ll need specific hardware compared to the kind that is mounted on a wall in a retail environment. 3. WHAT IS THE INSTALLATION ENVIRONMENT? Where you decide to install your signage will determine the kind of hardware you need. As we mentioned earlier, high-traffic locations generally require durable devices. Similarly, the type of display you might use near your point-of-sale will most likely differ significantly from the kind you’d use as part of your endcap. When most people think of digital signage hardware, they tend to think of the actual displays themselves. After all, these devices are front-and-center. They’re literally in charge of displaying the content to customers and visitors. Without high-quality displays, even the most well-designed content will produce limited results. LCD displays are a popular form of digital signage. These screens use Liquid Crystal Display (LCD) panels to regulate where light is display on the screen. On the other hand, LED displays use Light Emitting Diodes, which work in displays much like traditional incandescent bulbs used to, except they are lit by the electrons moving through semiconductors. So, which one is better? It depends. Generally speaking, LED displays cost more, but they are best for outdoor displays or deployments for large audiences. For smaller displays indoors where the audience will be closer, LCD displays are superior. Touchscreens are great for interactive content. 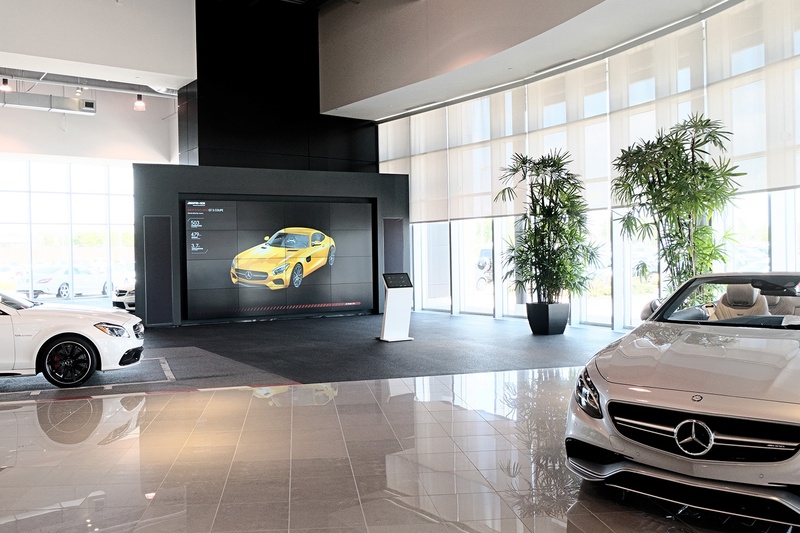 Where once a keyboard and/or mouse would have been needed, these screens now make it easier than ever for customers to explore inventory and compare products. Visitors can use them to select the destination they’re trying to reach. Diners can use touchscreens to peruse the menu and make selections. While most of us are accustomed to touchscreens because of our phones, these displays can reach 90 inches – or even larger, allowing just about any interactive experience you can imagine. The enclosure itself protects the display component from the outside world. This may mean keeping it safe in a high-traffic environment or from the elements in an outdoor deployment, among other things. For the most part, the display you choose will come with an enclosure, one that’s designed for the screen’s dimensions. However, if you have a specific requirement, custom enclosures are an option, as well. So, there’s no reason you need to limit your digital signage strategy. In order to install your digital signage, you’ll need hardware to mount it. The only exception would be standalone modules, although even those will have to be secured to the ground. Otherwise, mounting equipment is used to attach enclosures to walls or hang them from ceilings. They can be fixed or tilted. This equipment can even allow users to move the screen around, so it faces them perfectly without becoming unsecured. In order to play your content, you need a media player. This form of digital signage hardware is basically just a computer. However, unlike your typical PC, these devices are designed specifically for this task – nothing else. A digital-signage media player contains hardware and software that is optimized for displaying signs at one or more locations. Some displays actually come with media players built in, too, known as System on a Chip (SoC). While these make sense for standalone deployments, any displays with a larger purpose will want a media player with far greater CPU power. Every company’s location is different. The same goes for its goals. So, it makes sense that you’ll want to think long and hard about each before deciding on the type of digital signage hardware that will work best for your strategy. Nonetheless, the following are five common environments and the types of hardware that most companies tend to choose for them. While your choices may end up being different, this should help you with your planning process. Banks and other financial institutions generally use digital signage hardware to display informative content for both their customers and employees. For instance, it’s not uncommon for many wealth management firms to display stock tickers throughout the building. Certain financial news channels may occupy other monitors, as well. 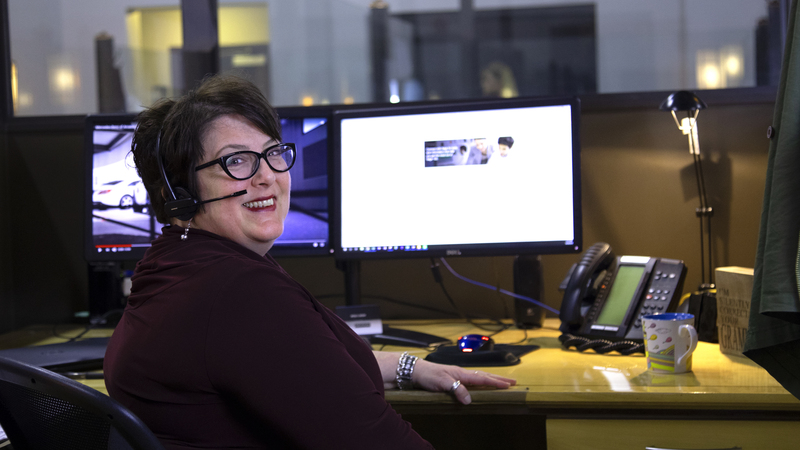 Depending on how many different zones your financial institution needs to accommodate, you may need network-connected media players for remote management from a single location. These are relatively simple installations. They’re indoors and the monitors usually aren’t big enough that they require complex mounting equipment. However, they often need to operate outside traditional “banking hours”, which means these displays must be able to handle those kinds of demands. Digital signage hardware helps to convey messages, so they don’t have to be used strictly for business purposes. Educational institutions and houses of worship have also found digital signage to be a powerful asset. For example, many classrooms have replaced chalk- and whiteboards with video screens. Multitouch screens have proven ideal for many environments as they allow for interactive content with which students can engage. For the kinds of large viewing audiences that congregate in houses of worship, video walls provide the perfect solution for creating displays that everyone can see. Each screen in the wall can also be changed to different content throughout the service. More and more, malls and other public environments are being populated with large digital signage displays meant to offer maps, operating hours, and other relevant information to visitors. They often feature screens on both sides, accommodating a larger audience. These types of displays must be durable enough to withstand such high-traffic areas, especially if they’re meant to be touchscreens. Tempered glass offers the perfect defense. Another requirement is a standalone operation, otherwise, visitors are bound to trip over chords. Standalone monitors have also become popular in hospitals, doctors’ offices transportation settings, hotels, and anywhere else where large amounts of people need the same types of information in order to know where to go. Retailers usually add to their strategies by also including displays that show off their inventory and even make it possible for customers to learn more about their products without needing help from an employee. 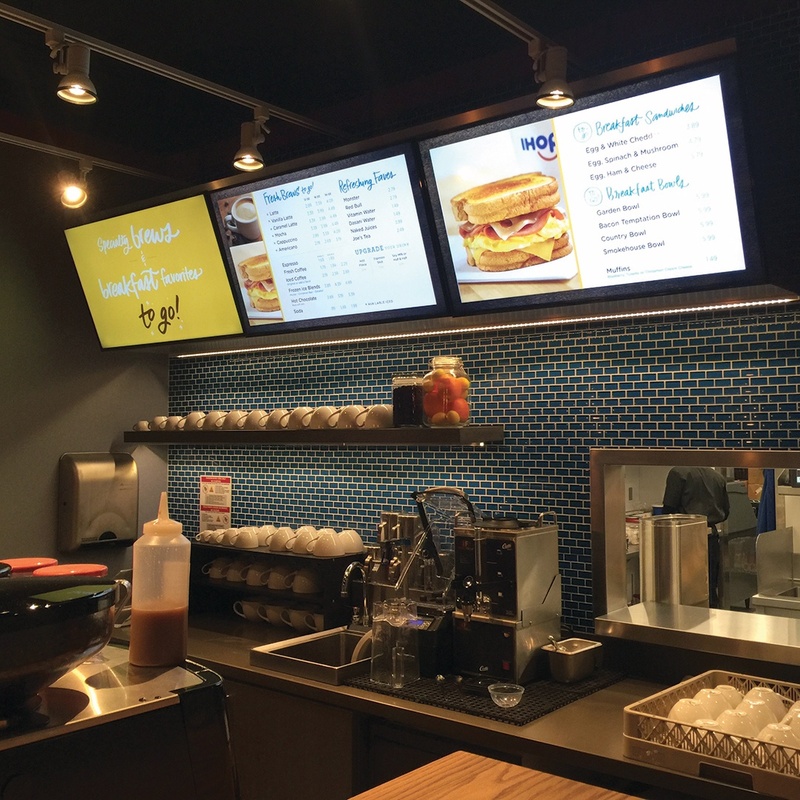 Restaurants and bars probably display the greatest diversity when it comes to digital signage hardware. It’s not hard to see why. Restaurants can feature indoor and outdoor areas. This may even include rooftops. Many have dining areas and bars. For those outdoor areas, it’s important to choose a durable display with a sealed design that will protect against the threat of inclement weather. The display should also offer sufficient brightness levels, as they will most likely need to be adjusted throughout the day. The anti-reflective glass is a must for the same reasons. Indoor areas offer more flexibility, though brightness may still be an issue if it will be featured in a darker area. At many restaurants, indoor seating is available for more of the day than it is outdoors. In that case, you’ll need a display that’s designed for these longer operating hours. In both areas, the right media player can display live TV, menu options, upcoming deals, or a combination of all three. As you can see, choosing the right digital signage hardware involves a number of considerations. Nonetheless, it’s imperative that you take the time to carefully go through each of them, so you ultimately make the right choice. For the most part, the content you display can be adjusted depending on your audience’s preferences. However, if you make the wrong decisions about hardware, you’ll face a costly process – both in terms of time and money – to remedy that mistake. When thinking through your hardware needs, don't forget to consider the goals and benefits of your digital signage system as well. Fortunately, now that you better understand this technology, creating your entire digital signage strategy should be much easier. This includes selecting the hardware required to realize success.